These can be used independently or in connection to a visit from Dr. Winmilawe. Common Core Standards that students can address. 1. Take 2 paper cups [or yogurt or other containers], one smaller than the other. 2. Cut out the bottoms. 3. Tape the open bottoms of the cups together. You can use masking or bandaging tape. 4. Place wax paper on the top ends and secure the paper with rubber bands. 5. Paint the cups (and tape) red [or red and white] for Shango. 6. Use chopsticks for drum sticks. 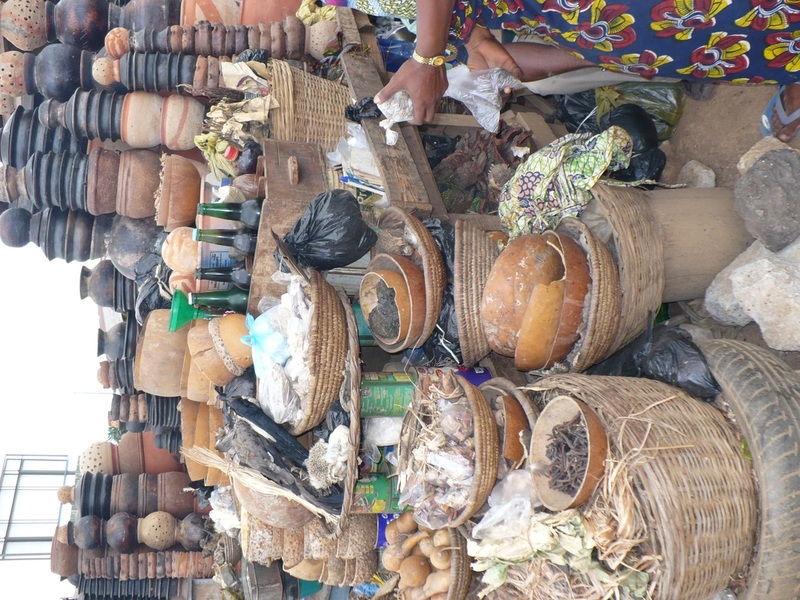 These are real life photos taken in or in reference to Yorubaland Nigeria. Such photos inspired the illustrators to create different parts of the images. They strove for cultural authenticity and you can learn so much from the details in the illustrations. Can you find which pages these images match? Can you find real life photos on your own that may have inspired the illustrators? *The captions arise upon placing your cursor over the photo, use this feature only after doing the matching game or it may spoil the game! 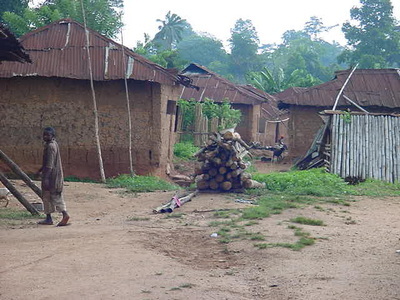 Small mountain village outside of Ile Ife, Nigeria. Photo copyright Dr. Winmilawe, 2001. 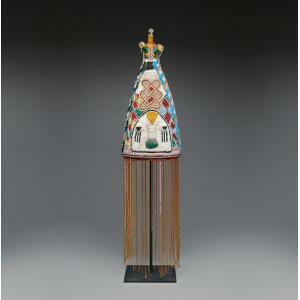 Beaded Crown (Ade Ileke). Image courtesy of the Dallas Museum of Art. 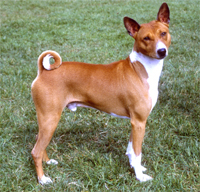 Basenji dog is native to Central Africa. Photo from petfinder.com. 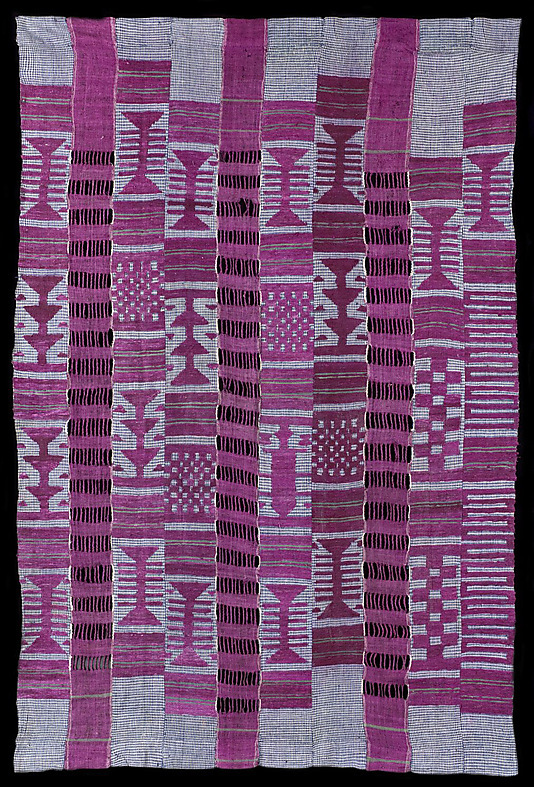 Aso Oke, Yoruba woven fabric. 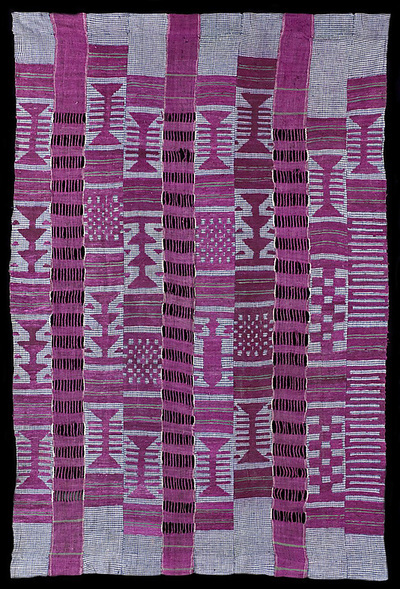 Image courtesy The Metropolitan Museum of Art. 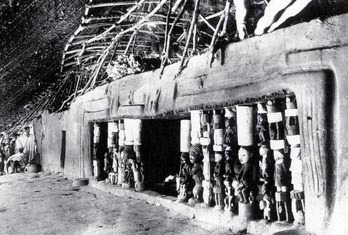 A 1910 Shango Shrine. Photo courtesy of Frobenius Institute, sourced from: Drewal, Pemberton, & Abiodun, "Yoruba: Nine Centuries of African Art and Thought." Marketplace stall in Ibadan, Nigeria. Photo copyright Dr. Winmilawe, 2007. K5 Identify details and vocabulary. Compare with similar stories. 1 Discuss central message(s). Note words that appeal to the senses. 4-5 Analyze text that uses significant mythological characters. Compare traditional literature from diverse cultures. 6 - Graduate Example of a historically significant African culture before 1600.